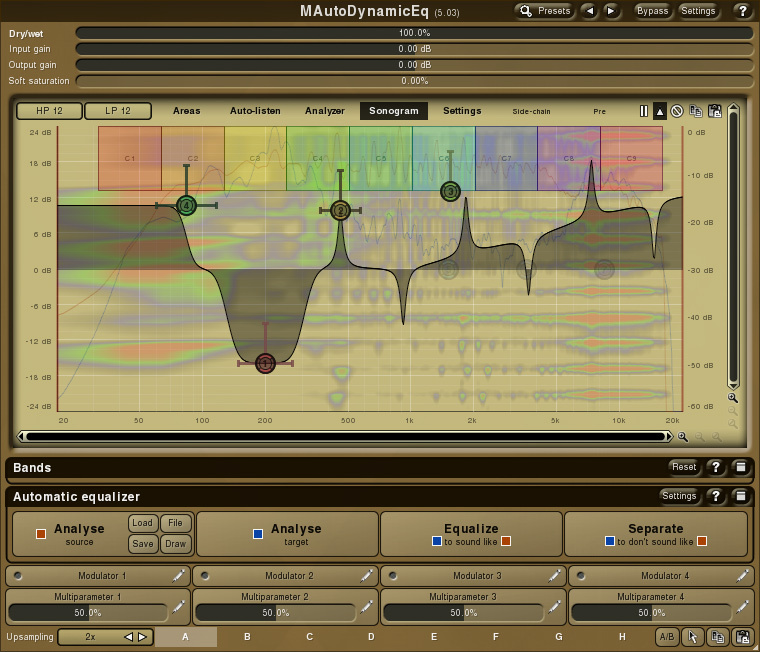 MAutoDynamicEq, Software dynamic EQ from MeldaProduction. Until tomorrow evening, MeldaProduction offers 5 plugins at 50% off. MeldaProduction's "Eternal Madness discount" is back, with every week five different plugins offered at half price. 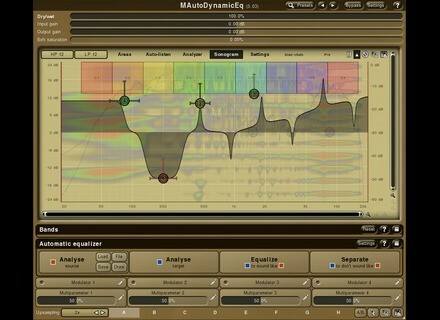 Until Sunday evening London time, the MAutoDynamiqEQ, MCharacter, MMultiBandDelay, Mfilter and MMultiBandRingModulator are each available at 50% off. More details at MeldaProduction's website, and expect five new comparable offers on Monday. 24-hour flash sale at Rhythmic Robot Rhythmic Robot is having a flash sale with 20 to 40% off on their "Mongo's Cupboard" section. Waves' 24-hour special prices for this Saturday Waves bring back their weekend special offers with discounted prices on three plugins this Saturday. A review of iZotope Ozone 7 Advanced and Ozone 7 The Ozone mastering suite from iZotope has gotten better with each major update. The latest, Ozone 7, adds vintage modules to its processing arsenal, which allow you to add warm, analog-like sounds. All but one of the new modules are exclusive to Ozone 7 Advanced, which is more costly than the standard version of Ozone 7. Both versions have seen a number of additional improvements, as well. Let’s check them out.